Housing provides infrastructure our neighborhoods and cities need to thrive; it provides a home to the workers who are keeping local businesses running. Having affordable housing near jobs helps connect people to economic activity, just in a slightly different way than roads, bridges and airports do. At the National Housing Conference, we’re concerned that our country’s affordable housing infrastructure is not meeting our nation’s needs, and we hope to see affordable housing included in any major infrastructure legislation. Much like bridges or roads, housing infrastructure lasts a long time and can be an asset or an eyesore in communities, depending on how well we maintain it. Some parts of our nation’s transportation and housing infrastructure is aging and chronic disinvestment has left some of it unable to meet growing demand. A prime example is some of our public housing stock, the oldest of which dates back to the 1930s, and which has seen many years of inadequate capital funding. Other privately owned affordable housing properties also need preservation, as affordability covenants expire and structures age. Fortunately, we have proven solutions for recapitalizing existing affordable housing, usually relying on the Low-Income Housing Tax Credit in combination with other public and private resources. Public housing in particular has made great use of the Rental Assistance Demonstration to preserve affordability and invest for the long term. To make sure public-private partnership approaches can reach all of the communities with preservation needs, affordable housing infrastructure needs more investment to meet growing demand. In places that are thriving we need more affordable housing, just like we need more transportation options, water connections, roads and schools to address growing populations. Building housing, especially affordable housing, near job centers ensures that the workforce has a place to sleep at night and would help to ease congestion on transportation infrastructure – be it roads or mass transit. In places that are seeing population declines, we need to revitalize the existing infrastructure to make it attractive to potential new residents and to assure businesses that their investment can attract workers. In addition to the need to meet growing demand, we’ve made technological advancements that should be standard in any new housing. Housing, as is true with all infrastructure, can serve as a skeleton that is continually improved upon as new technology becomes available. Despite our lead reduction efforts, too many of our nation’s homes still have lead in them and pose serious threats to our children. We know the power of improvements like energy efficiency, access to broadband and strong air filtration systems to reduce energy bills, improve educational and economic outcomes and improve health. These cost-effective improvements should be more widely available. Any infrastructure package put forth by President Trump and Congress should include funding to improve access to affordable housing and ensure that it is a long-lasting community asset. We encourage others to think about infrastructure in this holistic way to address our nation’s structural needs. This post is the first in a series from members of the Campaign for Housing and Community Development Funding tying housing to infrastructure. 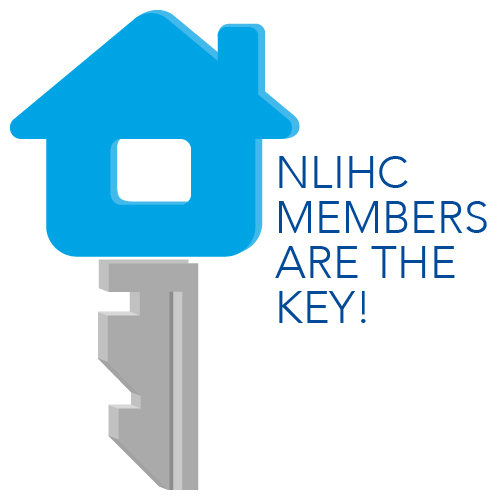 Look for the next blog post from the Housing Assistance Council on February 8.